This photo was found in an attic in Swansea in an old flour mantle canister. 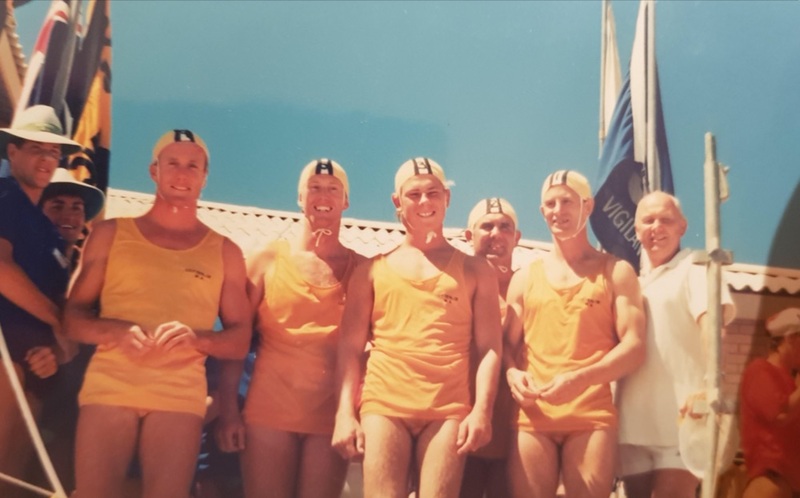 Two of the members are still active today in the Cott Surf Club. Entries to be written in 2B pencil on the back of an aerogramme letter accompanied by a 2 cent copper coin entry fee. Entries close at midday Sunday 24th Feb 2019 with the last post to Cott Surf Club, Marine Pde, Cottesloe. 2nd Prize: a one way trip to Rotto on the back of a double surf ski. Last Saturday was the start of the State Titles Calendar with the R&R and Belt Championships. Cottesloe was lucky enough to win Silver in the U/11 R&R with Chloe Savage and Annabel Hurst. Also, we won Bronze in the 6-person R&R with Taylah Suda, Karlene Craven, Libby Madden, Sophia Matier, Gemmaley Walsh and Lara Matier. Congrats to all involved. On Sunday we had our final Senior Carnival for the year. The Club finished in 6th spot which is the highest placing for a few years and pushing closer to the bigger competitive clubs. Thanks to all the helpers and especially the parents for getting the kids to Secret Harbour. This weekend we have our Senior/Titans Club Championships at Cottesloe. Good luck to all involved. Kick off time is 8.30am so have your gear on the beach by 8.15am. Pete and Tash are ready to go. Nippers have their State Qualifiers this Saturday & Sunday at Trigg Beach. Good luck to all AGM, Coaches and all Athletes. Representing the club is such an honour. If you Qualify for States or not just know you are all doing something for the club. Race hard but most importantly have fun. 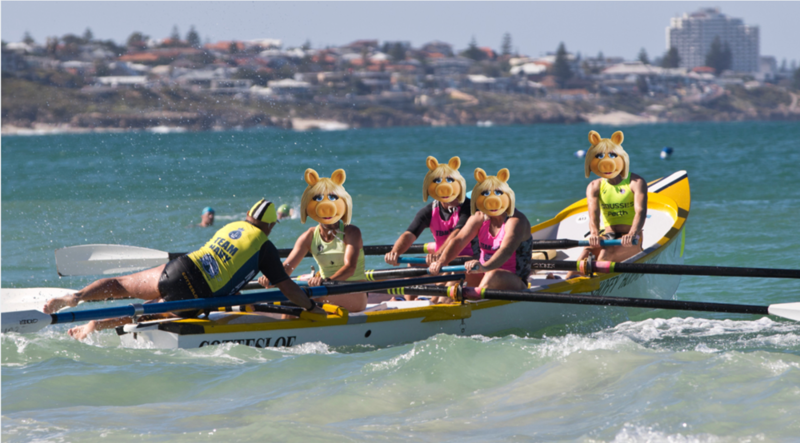 Congratulations to the "Muppettes" on winning the U23 Female Event on Sunday! Congratulations to all of our Nippers from U9’s through to U13’s who competed in the annual Club Championships last Sunday. Some very gutsy performances both on the sand and in the water, and we saw some great examples of fine sportsmanship and resilience. The weather was kind to us, and once the wind picked up we saw some extraordinary performances in the last few iron events. Thanks to all of our Age Group Managers – Sasha, Rob, Alan, Elliott, Danny, Craig, Bec, Lisa, Rowena and Brad – who facilitated the morning’s events to ensure the Champs ran as smoothly as possible. 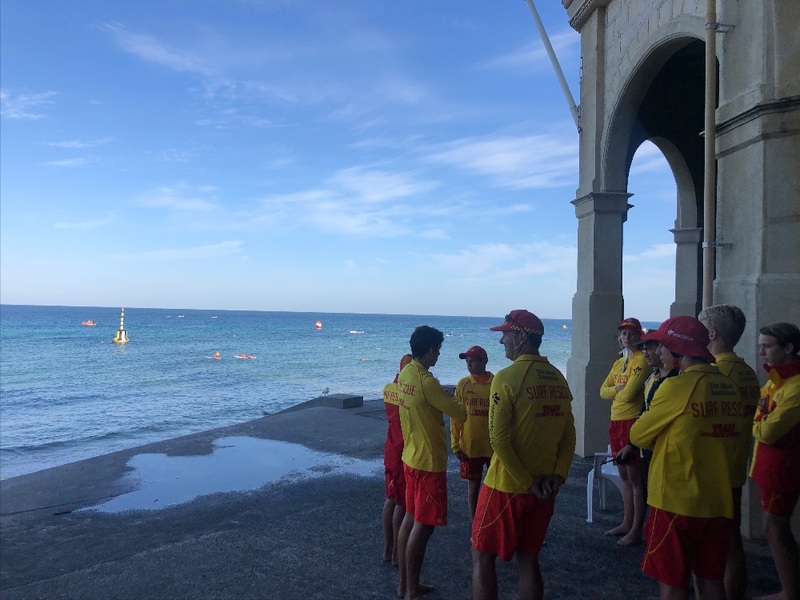 Thanks also to all of the parents who helped facilitate the day, from set-up to pack-up, officiating, and providing water safety, and to Phoebe, Jesse and Dom for their help with IRB water safety; a fantastic team effort to bring out the best in our Nippers. CONGRATULATIONS to Chloe Savage and Annabel Hurst (Under 11’s) who collected Silver Medals at the R&R States at Sorrento last Sunday (Rescue and Resuscitation). Given their previous success as a Board Rescue team, there seems to be a recurring “rescue” theme for this dynamic duo! This weekend sees our U10’s-U13’s Nippers compete at the Metro Qualifier Carnival at Trigg Beach, in preparation for the State Champs to be held in March. Go well, go hard, Go Cott! Reminder: for Nippers not competing, regular Sunday morning activities continue throughout the rest of the season. 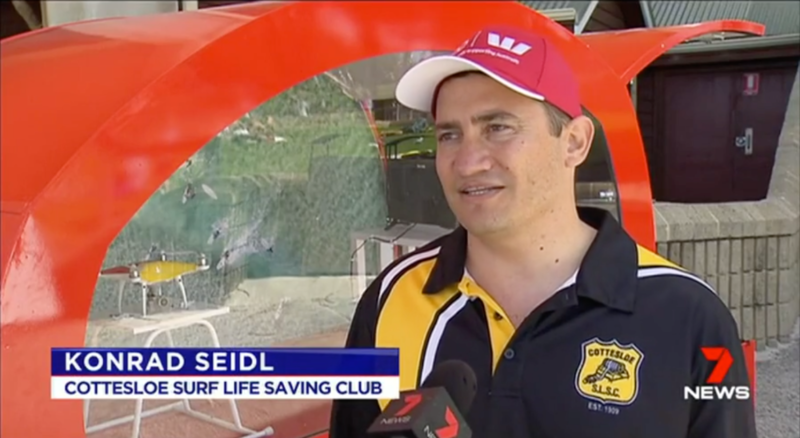 Konrad Seidl, Lifesaving Officer representing Cottesloe SLSC in an interview with Perth Now trying to recruit more drone patrol operators for SLSWA. Click the image to view the video! The Rotary Club of Cambridge is seeking a host family for a young lady from Argentina. She has been in Western Australia since last July and will be in the western suburbs area from April 2019 -- 9thJuly 2019. It is a wonderful opportunity to care for and share goodwill with a young person from overseas, and have your own family experience her friendship and culture. Jazmin is an absolutely delightful, well-mannered young lady with a very positive personality. Currently, she is living with a family until the end of March and loving her time with them and in Perth. A change is due at the end of March. Jaz is from a large city in central/rural Argentina and will be 17 in March. She lives with her parents and two siblings including a twin sister and speaks excellent English. She is an active person and enjoys gymnastics and having fun. She attends Shenton College high school whilst she is in Perth. Convenient transport to Shenton College is important. Hosting involves including Jaz very much as a family member and taking care of her and allowing her to experience as much of our Australian way of life as possible. As you will appreciate, living with a surf club family is considered ideal. Families who have hosted exchange students regard it as a wonderful experience, especially for their children. Often friendships are made that are lifelong. Please note that whilst the host family cares for Jazmin on a day to day basis it is Rotary that takes the responsibility for her welfare, and this is not a host family responsibility. Huge Thanks go to those who helped with water safety at the OWS on Saturday! Click the above image to view the Nipper News archives! DHL wants to know something memorable that's happened to you at the beach! Your story could win big $$ for both you and your club! Entries close 9pm, Monday 4 March. Click the image to enter!